I think you all know by now I am not a huge DIY kind of girl (I admit it I get lazy) but this is one DIY I most definitely plan to attempt. How cute would a a few of these be bundled together with oven mits and dish towels for a housewarming or hostess gift? 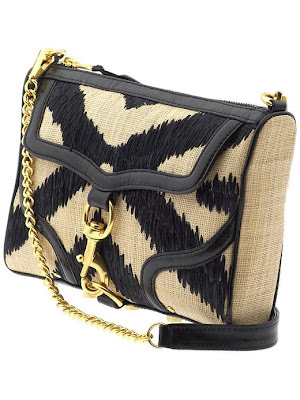 Love this purse in a serious way. It also comes in a coralish pink but I love the black version best. I live in light weight knit dresses during the summer. It gets so darn hot here in Charleston and they keep me cool. I also love that you can pair them with cute flats during the day or dress them up with wedges or heels for a night out. Loving this color block tank dress and it is a great price! 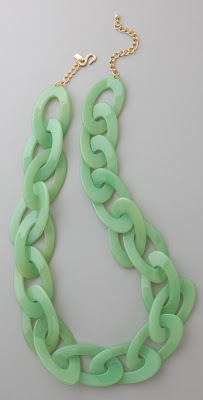 I am really loving this chunky necklace for summer. I am all about chunky necklaces paired with my summer maxis and blouses. I think this jade color would look amaze with pink. These almonds are so delicious. The perfect touch of spice from the wasabi and salt from the soy sauce. I highly recommend! They have been my go-to snack lately! I love that necklace! 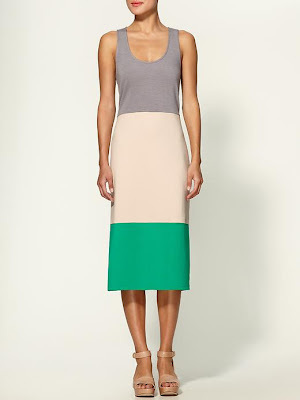 Also, I bought a color block, pleated maxi dress at off fifth this weekend and thought of you and your obsessions. I really love the wooden spoons. We actually gave a wooden spoon tied with rafia over a nathalie dupree cookbook for host/hostess gifts for one of our wedding showers. This would be such a fun twist on that! Loving your Obsessions from this Tuesday! The maxi is adorable and the RM bag to die for! I also think that the KJL necklace would pair well with pale pink and it could become your go-to summer accessory. Have tried the Lime and Chipolte almonds and can't just stop at one. Those almonds are my favorite thing everrrrrr on the planet! Love that necklace and the wooden spoons! They are so much more fun than normal spoons! I have been seriously wanting to do the color dipped spoons, as well!! Just so much more fun than having them plain. LOVE those spoons-you could totally to do that DIY. Obsessed with those almonds!! Seriously addictive!!! I had to stop buying them and now I'm on to pistachios-never knew how addicting those could be??? I think it's the salt! obsessed with the purse and necklace as well!!! I just bought those almonds last night. They're BOGO at publix but the last day is today! GO stock up!! Love the spoons. I have so many friends getting engaged – can you do a post with engagement gift ideas? 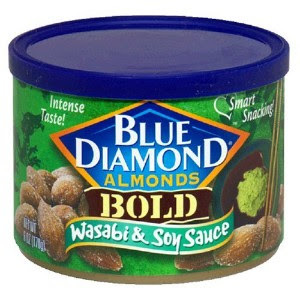 I LOVE those wasabi almonds! And the dipped wood spoons are soo cute! 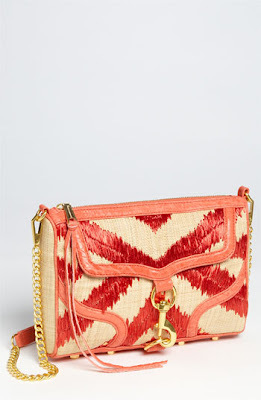 Love Rebecca minkoff bags! that dress is way cute! Like you said, you can dress it up and down! That dress is adorable. Get it! You always have the best obsessions! I adore that Kenneth Jay Lane necklace- I have had it pinned forever! 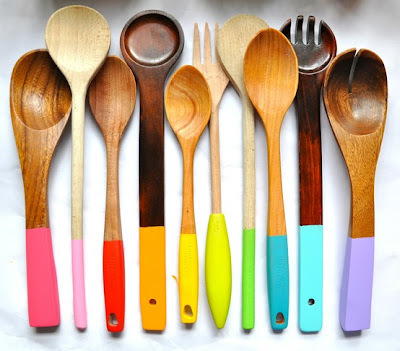 Amazing wooden spoons and I wantie. Loving the necklace and I could snack on the almonds all day long. Those spoons are totally coooool. How fun is that! And you'd look gorgeous in that dress. Those spoons are so fun! The link necklace is gorg and my husband eats those almonds by the cans! pretty stuff for the kitchen is my weakness, so i'm loving those spoons. great finds this week!! I saw those spoons last week and went ga-ga!